The dry white wines of Pessac-Léognan have a unique particularity in the kingdom of great white wines, allying complexity, freshness, intensity and harmony. Yes, but why? Yes, but how ? The foundations of these wines are built on two grape selections, the Sauvignon – very often the dominating grape – and Sémillion, easy to maintain and ripen in the poor soils of the Graves with its sandy and chalky nature.The Sauvignon brings structure, freshness and fruitiness, often with a faint reminder of a smell similar to Muscat. The Sémillion offers a body of unique aromas of candied fruit. The next phase, mastering fermentation allowing the expression of the fruit and the raising in barrels made from oak (for 6-12 months) suspended on lees and stirred for the first few months to obtain body and to reveal the best tastes. From the paleness of straw-yellow for the younger years to the russet colour of amber for the wines aged 10, 15 and sometimes 20 years. On the nose, lime mixes with broom ; spiked with notes of honey amongst those of candied fruits. On the pallet, powerful and yet subtle, they can pleasantly express hints of bay leaf, or crushed blackcurrent. 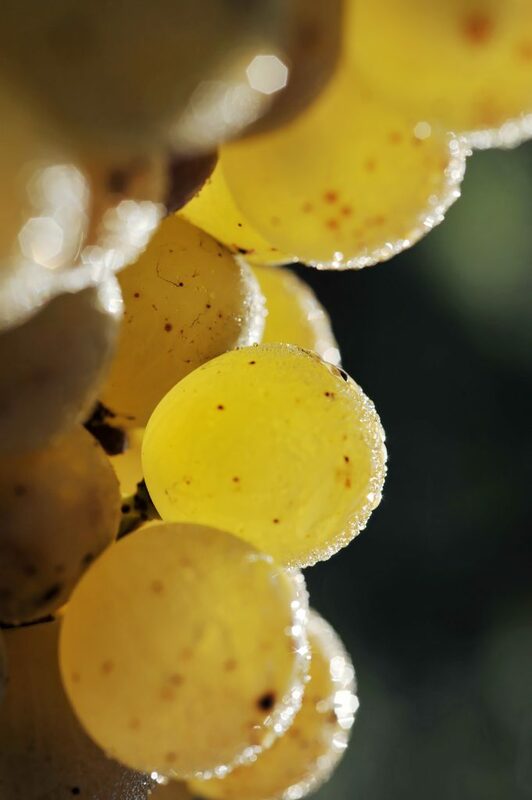 Complex, fleshy and round, just as sugary as they are dry, everlasting in the mouth and with a great aromatic persistency. Some « zakouski » accompanying the aperitif ; at the start of a meal, seafood and crustaceans and other starters ; fish and white meats for mature wines, dry cheese for the older wines with a strong bouquet. Begin a meal with a ‘vertical’ tasting of the dry whites of Pessac-Léognan, insuring a unique experience.